Tina Fey: Tracy's Rant was "Violent," "Disturbing"
Tina Fey said that "30 Rock" co-star Tracy Morgan's homophobic stand-up rant was "disturbing," but is happy he apologized. "The violent imagery of Tracy's ran was disturbing to me at a time when homophobic hate crimes continue to be a life-threatening issue for the GLBT Community," she said in a statment to TMZ. 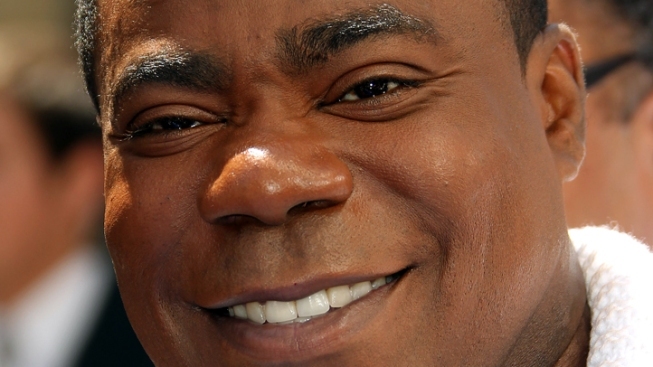 "It also doesn't line up with the Tracy Morgan I know, who is not a hateful man and is generally much too sleepy and self-centered to ever hurt another person," she continued. Morgan recently shocked the crowd at a comedy club in Nashville when he made jokes about homosexuality being "a choice" and then claimed he'd "pull out a knife and stab" his son if his son were gay. The controversial comic then went on to make light of bullying and suggested that being gay is some sort of mistake. Audience member Kevin Rogers took to Facebook to detail the show and chastise the comedian, prompting the gay rights group GLAAD to investigate. Morgan has now issued a statement apologizing for his questionable material. "While I am an equal opportunity jokester, and my friends know what is in my heart, even in a comedy club this clearly went too far and was not funny in any context," he said. "I want to apologize to my fans and the gay & lesbian community for my choice of words at my recent stand-up act in Nashville." There are reports that anywhere from 10-15 people got up and walked out of Morgan's show immediately following his comments onstage.